Smartphone monitoring applications are getting more and more common with every passing day and most users are only aware of the basic features of such applications. They have knowledge about the usual stuff like logging of calls and phone usage, spying on messages sent and received and smartphone tracking. These applications are mostly sold as a spying and monitoring service, and what the users don’t realize is that these applications can be useful for so much more. 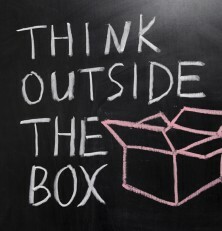 With a little creativity and out of the box thinking users can get the most out of such applications. 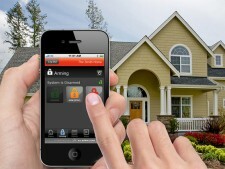 Following are some creative ways to get the most out of a smartphone monitoring applications. These applications can also be used to secure their personal or sensitive information stored on their smartphone. Smartphones have become integral part of our daily life and if they get misplaced or stolen, then such applications can be used to secure the sensitive or private information from falling into the wrong hands. This feature can be very important for businessmen who tend to have sensitive information stored on their smartphones that should not be available to others. 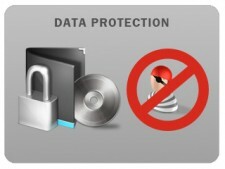 It can also effectively be used by businesses and corporations to avoid data and document leaks. If an employee was in contact with competitors or sending the classified information, instant notification alerts can be sent to the administrators. 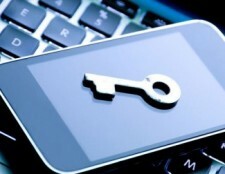 These smartphone spy applications can also be used to turn a smartphone into a bug or a recording device. When used in a legal way, these programs can be very useful. By installing it on their own device, the users can use the smartphone to quickly and easily record important meetings or dictate memos. It can simply be used to record reminders, which the users can later access. The main advantage of using the service as opposed to built-in recorders, is that the recorded logs are going to be saved and available from anywhere using the online web panel for your service. The way you can use it does not stop there either, it can be used to ensure quality control over customer service calls or be used for security scenarios. As mentioned, you can remotely activate the microphone and record your surroundings, but beyond that, you can also remotely activate the cell phone’s cameras and take snap shops, record video and even watch live stream, given that you pick one of the top spy software services that offers these advanced features. By simply thinking out of the box a little bit, you can turn this feature into a powerful remote nanny camera that can see and hear what’s going on at home or at the office when you are away. Simply setup the software on a mobile device or laptop of your choice, without even the need for a phone or data plan in some cases, by connecting it to your home Wi-Fi network and you are set go. Strategically place the device where you can most benefit from a video feed and access it from anywhere at anytime. Most spying applications offer smartphone tracking ability through satellite using the built-in phone. GPS Users can log on to the control panel of the application and locate their smartphone and even get a history of its movements. 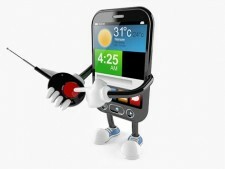 This feature can be very useful and utilized creatively to gain the most from this type of applications. In a small and medium sized business with sales staff on the road, these applications can be used to keep track of where the employee is at any given time and where he has been. Applications like FlexiSpy and mSpy can be used on a company provided smartphone to keep track of the staff and look out for any unofficial use. By doing so businesses can use these applications to improve control over their employees and save money. Tracking features can also be used by parents who are looking to add an extra layer of parental control on their children’s smartphone, alarming them if the child has passed a restricted geo-set perimeter, or did not come home from school. For more information, read our article on how to utilize monitoring apps to help protect your kids. those cases, the owner did not have adequate protection or security setup, leaving their sensitive information in the hands of the thief and having lost your expensive mobile device. With spy & tracking software, you not only have the possibility of live GPS tracking and history, call logs, text logs, remote camera and microphone activation, but you also can choose a provider that has some remote data-wiping features, allowing you to delete all your personal files from anywhere, as well as remotely locking and shutting off the device, quickly stopping others from having access. Some of these services even alert you if the SIM card is changed. Overall, if you are using a tracking app, and loose or get your phone stolen, you can track, take pictures and pretty much know exactly where your phone is, giving you a window of opportunity to alert police and get it returned. In most advertisements, spy & monitoring apps are represented as spying software and most users buy these applications to spy on other people. What these users don’t realize is that these applications can be used for many different purposes, both for common personal and business needs, but with a little bit of creative thinking, the possibilities grow immensely.